Johannesburg 19 November 2018: SA Taxi, a major subsidiary of Transaction Capital, is a vertically integrated business platform that provides a comprehensive financial, insurance and allied services offering to minibus taxi operators. Today SA Taxi and SANTACO (a national body which represents the interests of its members who are individual minibus taxi operators) announced a unique transformational equity partnership transaction whereby SANTACO will acquire a 25% interest in SA Taxi. SA Taxi delivers tangible commercial benefits to taxi operators beyond relevant and affordable finance and insurance products. SA Taxi and SANTACO have engaged over several years to formalise the industry’s participation in revenue streams of the minibus taxi industry value chain, and to achieve meaningful and sustainable commercial benefits for industry participants. 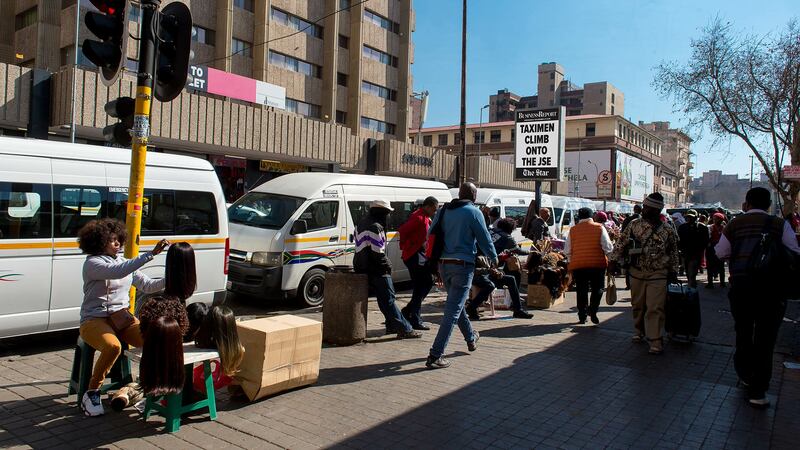 South Africa’s taxi industry has, for many decades, been a core pillar of the South African economy and is responsible for connecting millions of South Africans to various centres of the economy every day. However, due to the historical and political realities that shaped the formation of the sector, the industry has often lacked meaningful partnership opportunities with other industry participants or financial institutions. “At the core of our business model is a commitment to support an entirely black-owned industry, comprised solely of SMEs, which has developed without government subsidy into the most critical component of the South African integrated public transport system. This transaction provides broad-based participation and a framework for wide-reaching initiatives that will grow and support the sustainability of the minibus taxi industry at every level into the future,”says David Hurwitz, CEO of Transaction Capital. The proportional ownership structure, allocated to SANTACO and a trust representing broad-based provincial structures, will ensure that ownership and associated economic benefits of this investment accrue to all levels. 90% of future dividend flows will be applied towards reducing debt, with a 10% trickle flowing from the outset and allocated and administered according to a predetermined charter. This dividend income will support relevant infrastructure and other developmental projects designed to create sustainable value for minibus taxi associations, operators, commuters and other stakeholders. Partnerships with local government will be sought to leverage this investment in infrastructure for greater socio-economic impact. Of the R1.7 billion purchase price, approximately R1.2 billion will be funded jointly by Standard Bank and Futuregrowth Asset Management, with the remainder facilitated by SA Taxi in the form of vendor funding. SA Taxi will use approximately R1 billion of the net proceeds of R1.2 billion to settle interest bearing external and shareholder debt, with the remainder retained by SA Taxi to fund growth. In the medium-term, SA Taxi will continue to grow earnings organically at rates similar to prior years. However, the financial benefit of the transaction and the operational benefits of a stronger enhanced relationship with SANTACO is significantly accretive to SA Taxi’s earnings and expected to support higher growth rates over the medium term. “We are immensely proud of this transaction which is the culmination of several years of engagement with SA Taxi to formalise our participation in the revenue streams of the minibus taxi industry’s value chain. The proportional ownership structure will ensure that the economic benefits of this investment flow through to all broad-based provincial structures of SANTACO via a trust which will receive dividends from SA Taxi,” added Philip Taaibosch, president of SANTACO. The transaction remains subject to certain conditions and approvals.